Seeing the name Conex Container seems to indicate a special kind of container different from the regular shipping containers we see around us. The truth is that the name Conex which by the way stands for Container Express is a carryover from the Korean war in 1950. During this war and again during the Vietnam war, shipping containers called Conex boxes were developed by the army for transporting and storing supplies needed to prosecute the war. It is this Conex boxes that were modified by Malcom McLean into what has become the standardized shipping containers we have today. Despite the many modifications that have been made on shipping containers, the name Conex, has persisted especially with the military. You can read about it here. Therefore, when you hear of Conex Containers, understand that we are simply referring to the regular shipping containers you see around. What Materials are Containers Made of? 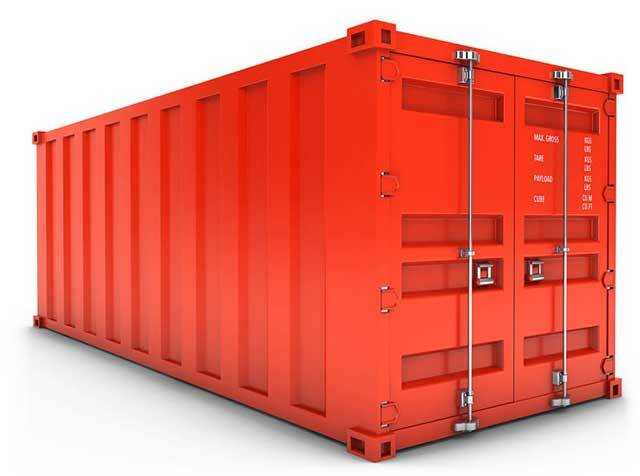 Talking about metal shipping containers can give the impression that containers can be made with other materials. Different materials are used in combination with each other. However, the main material usually used is steel. This forms the bulk of the container that we see. Some parts of the container can be made of other materials like wood for the floors. You may actually hear of some containers made of fiber-reinforced polymer or aluminum. These are however not what most of the shipping containers we see today are made of. 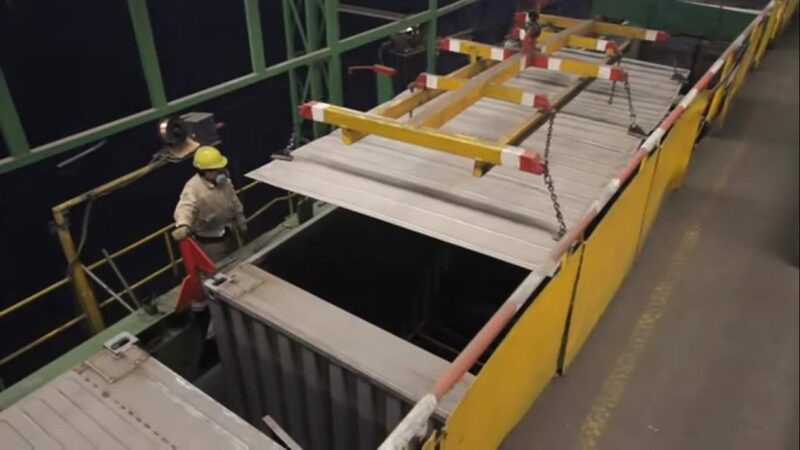 In fact, to ensure an easy construction process as well as the durability of the container, not just any kind of steel is used. The type of steel preferred by shipping container manufacturers is the Corten steel. This type of steel is also known as weathering steel. It is known to possess properties that make it the most suitable for this type of construction and usage. There are a few factors that can affect the price of a container. The first obvious thing is whether you are going for a new or used one. As you will expect, a new one is likely to cost more than an old one. Another thing that can affect your cost is the type of container you are looking to purchase. This includes size, function etc. A refrigerator container will most certainly cost a lot more than a dry container. The more the bigger the size and the more the functionalities offered by the container, the more you can expect to pay. The condition that a container is in will also affect how much you pay for it. If you find a container that has leaks and has aged significantly, you will expect to pay far less for this than for a container that is still in very good shape. Lastly, one more thing that can affect your cost is the location where you are buying the container from. The farther away your location is from where you are making the purchase, the higher the cost of transportation will be. This cost should be regarded as part of the cost of getting the container. There are a number of factors you should consider before buying any kind of shipping container. Before any other consideration, you should know exactly what you want the container for. The use you want to put the container to will affect your choice, so you need to first sort this out. Like we briefly pointed out above, where you will be buying the container from is a very important consideration point. When calculating your cost, add the cost of transporting the container to the location where you want it. Your goal should be to get the best overall value. If you can, try to see if you can find out what was last stored in the container. You may want to inspect it to see if you can perceive any smells or see any stains. Depending on that you want to use the container for, this may be a very important thing. If you are looking for containers for residential use, you certainly do not want a container previously used for storing hazardous chemicals. If you want a container that will last for a very long time, you should look out for one made with Corten steel. Like we noted earlier, this type of still offers more durability. If you need to purchase a Conex container and you have considered all the factors enumerated above, there are a few options open to you. You can visit listing sites like eBay and Craigslist. You are sure to find a number of offers for the sale of shipping containers. You may be able to get really awesome deals on these sites. However, the thing with online shipping containers for sale placements is that a lot of times, you have no immediate way of knowing the real state of the containers. You can of course schedule an inspection if the seller is close to you, but if the seller is not close to you, you may not be able to inspect it. If you happen to live in an area where there are docks, you are likely to find a number of containers put up for sale. You need to thoroughly inspect whatever containers you find for sale to be sure they are in a state that is suitable for the use you want to put it (or them) to. If you are not sure you can handle the inspection satisfactorily, you can hire an Institute of International Container Lessors certified inspector. Such an inspector will be able to ensure you get a container that can be sealed and properly secured for extended use. If you need to hire an inspector, search online for anyone closest to the location of the purchase. Warehouses usually have goods delivered to them in containers. It is possible that you may find that they have a few of these that they will be willing to sell. Rather than running around from place to place searching for where containers have been put up for sale, you can use broker sites. These are sites that help connect you to sellers of containers around you. You do not have to go search for them as they will already have been lined up and ready to sell. This method offers you the opportunity of comparing among a number of sellers for the best value and price. Best of all, you can do your search from the comfort of your home. Simply visit their website and you can be on your way to owning your own container.